We will be doing one final event this year at legendary Hyde Street Studios in San Francisco, CA on December 7th! Grammy Nominated BURL Artist, Greg Landau, will be doing a recording session with local band Carne Cruda, followed by an evening of listening, food and Q&A. Like our other Flight of the Mothership events, BURL will be showcasing the B80 MOTHERSHIP and the B1 mic pres. BURL will be using the B80 MOTHERSHIP and B1 mic pres during the session, along with other industry standard converters. 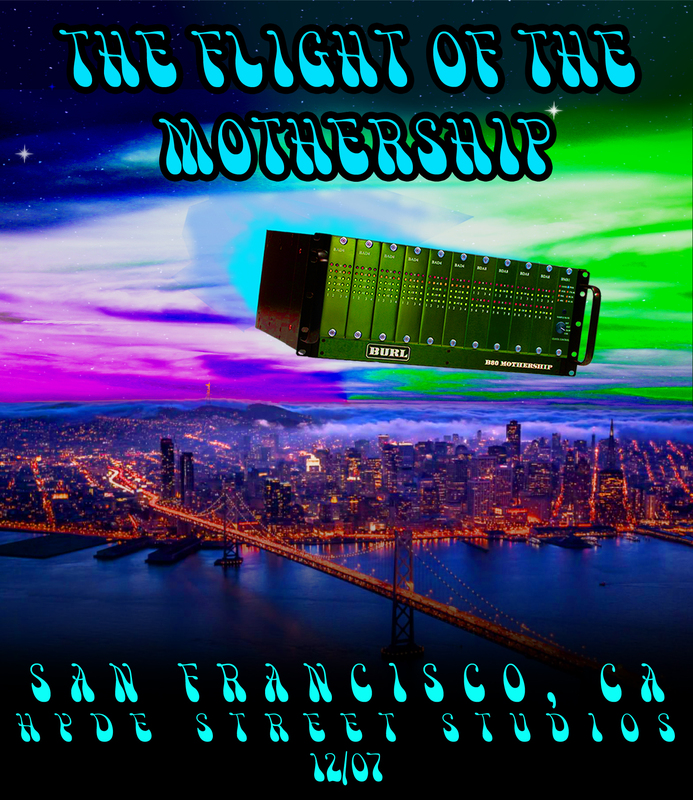 We will be putting the B80 MOTHERSHIP to the test as we invite our guests to come and A/B the B80 MOTHERSHIP versus the Avid HD i/o. RSVP to this awesome event BELOW! To RSVP for the event please choose the city you want to attend and submit this form.